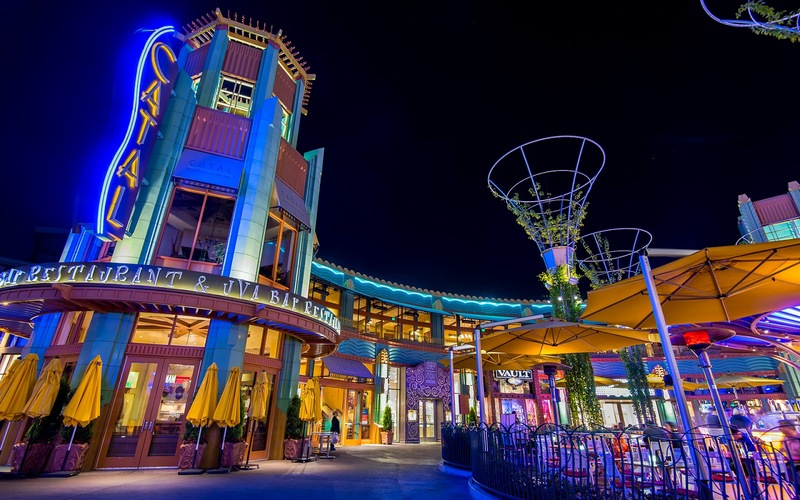 The courtyard in Downtown Disney anchored by Catal Restaurant and Uva Bar has been like this since Downtown Disney opened 14 years ago, and though some of the surrounding shops have come and gone, the two dining establishments have held serve throughout the retail existence of this promenade. The area is nice during the daytime, but it really comes alive at night. 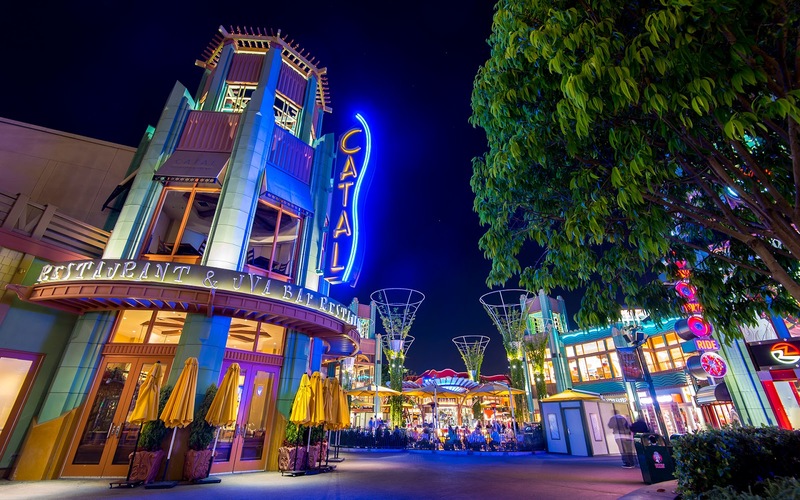 The electric neon and the bustling outdoor nightlife make for a great, festive atmosphere, and the food and aromas are delicious as well! It's a nice place to sit and people watch, or enjoy drinks with friends, or just soak in the atmosphere. 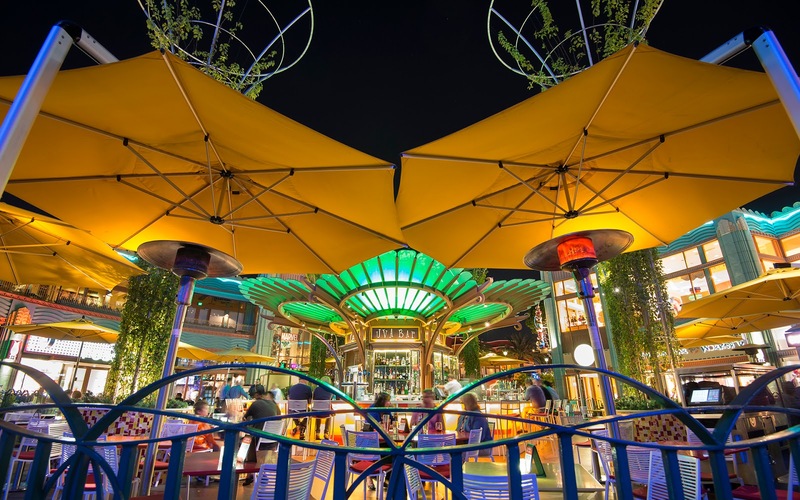 I've always been enchanted by the Downtown Disney ambiance during the evenings, but probably nowhere more than around here. The neon sign of Catal beckons hungry diners. The two story restaurant overlooks its sister dining establishment, the Uva Bar, shown at the right. Diners enjoy drinks and food at the Uva Bar.